LBTQIA+ folks suffering from Heroin Addiction seeking Rehab. Call Now. Heroin is one of the most pervasive and devastating illegal substances. Heroin addiction is reaching epidemic proportions in the U.S. and elsewhere in the world. The drug is derived from the opium poppy plant like other opiates such as morphine and codeine. Historically it has been used to treat pain. Heroin induces an intense feeling of euphoria, accompanied by dangerous side effects like severe addiction, physical dependence and respiratory depression (decreased breathing), which, is the common cause of death in heroin overdoses. Tolerance to heroin develops quickly in users and higher doses will be needed to reach the desired euphoria. After the physical dependency that comes with long-term use sets in, withdrawal symptoms can begin to arise only hours after the last use. After its stint of popularity the 1970’s, heroin use became less common. 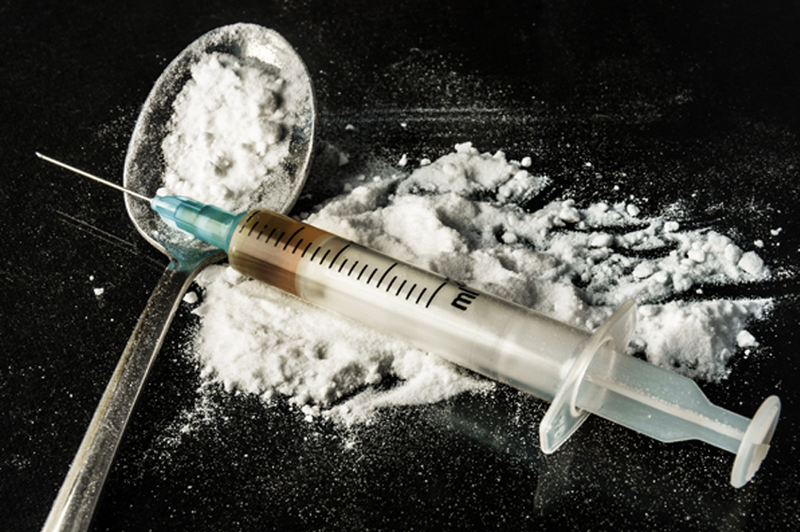 During the 1980’s and 1990’s more drug addicts were using cocaine and crack cocaine, but in recent years several factors have contributed to use of heroin and heroin addiction rising to the level of a national epidemic. In the late 1990’s pharmaceutical corporations began marketing prescription opioid drugs to treat chronic mild to severe pain. Opiates like morphine had long been reserved for very severe pain related to recovering from surgery, cancer or other excruciating conditions. Physicians were given monetary incentives to prescribe newly developed opioid painkillers. Widespread over-prescribing of opioids took place and a high percentage of patients prescribed these drugs became addicted to them. Addiction to prescription opioids involves the same sickening withdrawal symptoms as heroin addiction. A common story is that patients like these became addicted to their prescriptions and at some point couldn’t obtain them anymore for a variety of reasons: doctors would no longer prescribe them or not prescribe enough, the cost of the prescriptions became too high and the withdrawal symptoms were too much to endure. Many of those who became addicted to prescription pain pills, ended up switching to inexpensive street heroin, which would effectively stave off the withdrawal, and provide a stronger version of the euphoric rush they had become addicted to. In many ways the pharmaceutical industry is largely responsible for the opioid crisis of today. Increased availability of heroin pushed by the cartel, purer heroin with a lower cost are also factors extending the problem the pharmaceutical companies created. Heroin addiction quickly takes its toll on the people suffering from it. Resorting to stealing, burglary and other illegal activity to support the habit is commonplace. It could be posed that addiction, particularly heroin addiction is a root cause of much of the crime in the country. Locking sick people up and casting them as criminals is not a viable solution to this complex issue. For those with a substance use problem, it is likely they have been told so many times that they are a criminal, that they have come to accept the idea that they are rejected from society and the communities around them. The goal of treatment at Inspire Recovery is to heal these people of addiction and allow them to return to their communities with the respect they deserve as human beings. Heroin addiction and addiction to other opioids is a national crisis. If you are struggling, many hands are reaching to offer support and means of recovery. Inspire Recovery is one of those helping hands. If someone you know is suffering with heroin addiction, there is hope for recovery and restoration. Inspire Recovery offers with open arms a broad path to recovery from addiction.